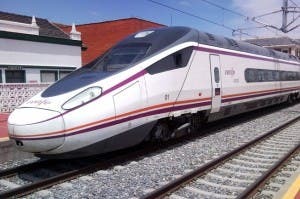 JULY brought huge growth to Renfe, as over three million passengers chose the Spanish train service for their holidays. Renfe reported that this represents a 4.6% increase from the same month last year. Its high-speed arm AVE is responsible for the impressive growth, with 1,839,000 passengers using AVE in July, a 6.7% year-to-year increase. And it seems that a fair number of these passengers headed to the Costa del Sol. Malaga was among Renfe’s most popular destinations in the first half of the summer, along with Madrid, Barcelona, Sevilla, Valencia and Alicante.